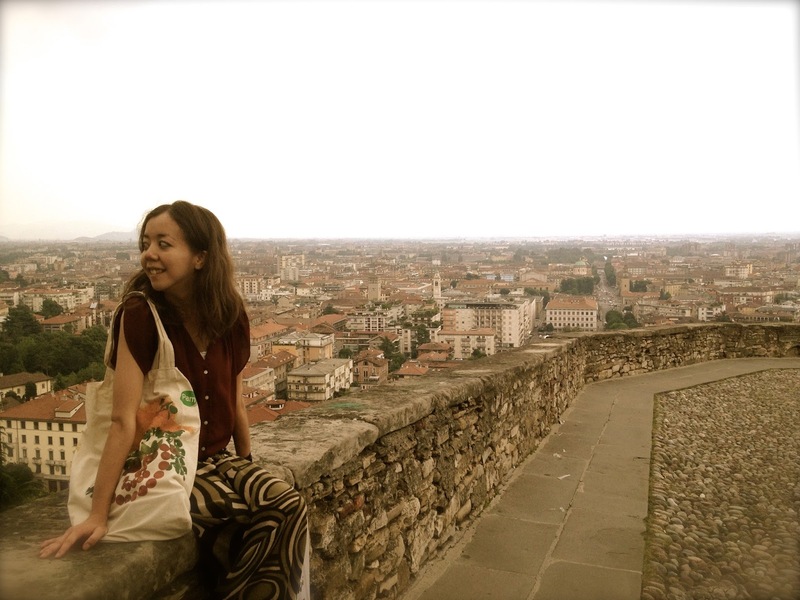 From September 2012 to the end of June 2013, i lived and studied in a unique little town called Bergamo. A 40 minute train ride from Milan, this is a beautiful city, with 2 cities inside it: Citta Alta (the ”high” city, aka the old town), and Citta Bassa (the ”Lower” city, aka the more modern town). How did I end up in such a place? Just like my time in Guatemala was triggered by Peace Boat, so was this opportunity. On Peace Boat, I was fortunate to encounter and learn about Montessori education (read more about it here: - a child-centered approach to education that follows the child and that aids their process of development. 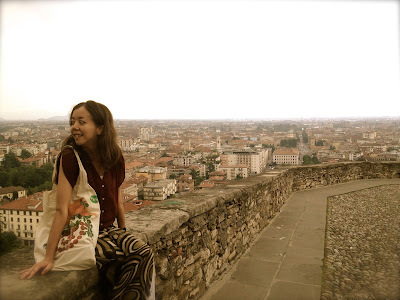 I had come to learn about this approach to education and life- in Italy. Every year in Bergamo, the international montessori teacher training course for teaching elementary children of ages 6-12 is being held. Students from all over the world, from different countries, background and ages, meets in this small town, to share an intense year together. I learned so much in these 10 months- combined with Peace Boat and Guatemala, it almost feels like I did more learning these past 2 years than all my years in school combined. Yet, the feeling we were left with after this year, was that there is so much more that we dont know about… and that is an exciting feeling on its own. Although the Montessori studying took up literally almost all the time, there were other aspects making up my life in italy too: living at a boarding house run by a convent. The life there was a chapter on its own- of sometimes confusion, sometimes angry voices and screaming, but mostly of yummy smelling food, laughter and lots and lots of love. I hope to share in the blog, even just a taste of what my year was like… including what i learned about the Montessori approach, daily life and weird incidences at the convent, food, places, people… all the while, trying to finish the unfinished posts for my time in Guatemala and the Japan Trip.